Intelligent Travel: Travel Costs Dropping? 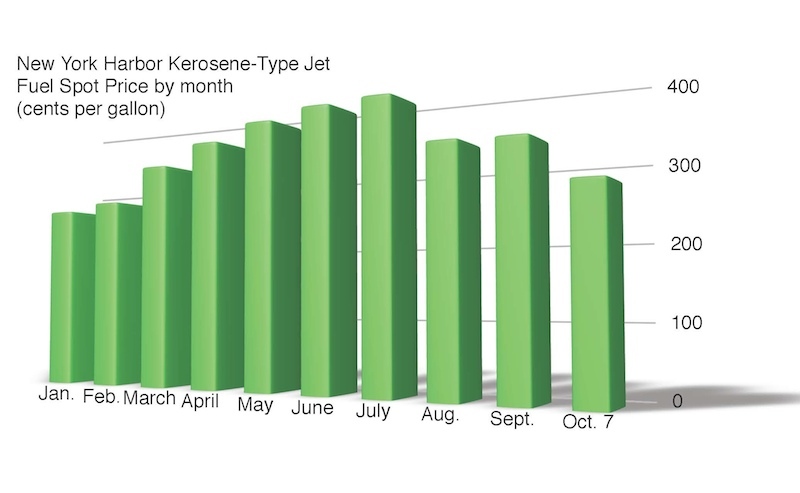 In September, the top seven airlines averaged a 9.47 drop in domestic passenger miles traveled compared with September 2007. Domestically and internationally, the major airlines carried 9.2 percent fewer passengers than in September 2007. Fares are 15 to 25 percent higher on many routes than they were a year ago. But that portion of the strategy seems to have stalled. Sharkey notes that some luxury airlines are already beginning to drop prices - Singapore Airlines just chopped their ticket price from $8,500 to $5,999 for a roundtrip from L.A. to Singapore for example - and Gadling reports that British Airways and Virgin Atlantic are responding to the drop in gas prices by cutting back on fuel surcharges. Turns out, a few other airlines are following suit, as is Carnival Cruise line, which is cutting its fuel surcharges for 2010. So if you can still afford to travel, and haven't yet scaled back your plans, keep your eyes peeled for some more deals on the horizon. I think its a wise move .. and traveler should take advantage of this..
Hey its nice post, Thank you for sharing with us.